On Friday, February 8th, 826CHI will be proudly participating in the Teen Summit at the Museum of Contemporary Photography. From 4-6pm, teens will be invited to the museum to reflect, engage, share, and create in this free, multidisciplinary workshop exploring the exhibition Stateless: Views of Global Migration. Students will have the chance to participate in a blackout poetry activity designed by 826CHI, as well as other creative activities centered around photography and the themes of migration, collective trauma, and memory. Stateless: Views of Global Migration seeks to humanize the stark data surrounding global migration through the individual lenses of eight contemporary artists: Bissane Al Charif, Daniel Castro García, Leila Alaoui, Tomas van Houtryve, Shimon Attie, Omar Imam, Fidencio Fifield-Perez, and Hiwa K. These powerful works of art bear witness, contemplate memory, and explores one's connectivity to a place, even when one can no longer return. 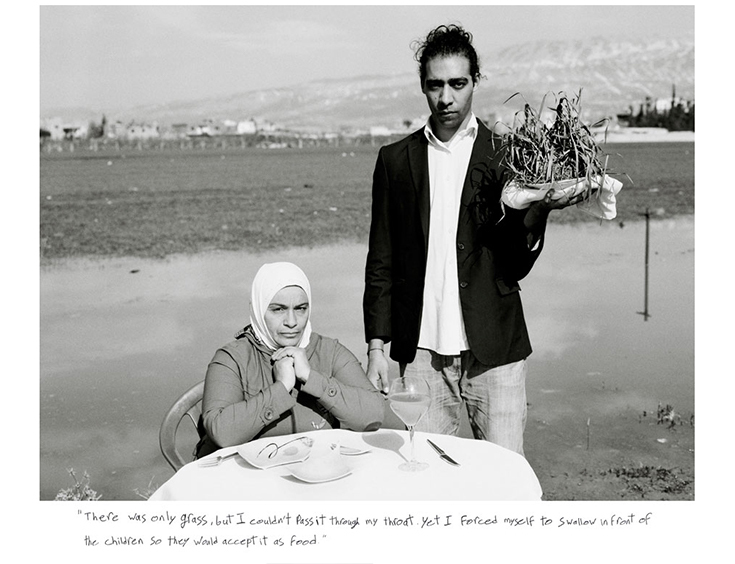 Organized by the Museum of Contemporary Photography's Executive Director Natasha Egan, this exhibit addresses individual stories that define this global human crisis. The MoCP is supported by Columbia College Chicago, the MoCP Advisory Board, the Museum Council, individuals, and private and corporate foundations. This exhibition is generously sponsored by The Andy Warhol Foundation for the Visual Arts, the Art Dealers Association Foundation, the Illinois Arts Council Agency, the City of Chicago's Department of Cultural Affairs and Special Events (DCASE), and the Efroymson Family Fund. Community partners for Stateless: Views of Global Migration include Heartland Alliance and the Transatlantic Refugee Resettlement Network. Want to participate? Tickets are free, but be sure to reserve yours here. 826CHI's Fiscal Year 2018 Report is Live! Join Us in Advocating for Arts Education in Illinois!